in the South Lyon area later this summer. Welcome to month three of 2011! It won’t be long now before the glaciers melt and you can feel your toes again. And that’s far from the only thing to look forward to. Also coming this month are two great excuses to drink beer: Mardi Gras and St. Patrick’s Day. Not that any excuse is necessary to enjoy a fresh, flavorful, full-bodied adult beverage created by your own neighbors; the only prerequisites are good taste and common sense. So let’s put both to use in your latest Week in Beer. » The week-long Attack of the Hops event continues at Ashley's, 338 S. State, with the tapping of a cask of Arcadia Hop Rocket Imperial IPA at 6 p.m. And don’t miss the other 20 or so rotating and regular hop bombs on tap through Sunday, March 6. » Owner and brewer Brad Sancho of Original Gravity, 440 County, Milan, is re-evaluating whether or not the Beer and a Movie series will continue, so tonight at 8:30 p.m. may be your last chance to check out a feature film in the cozy confines of a brewery. The movie is Due Date (2010) with Robert Downey Jr. and Zach Galifianakis. The beer? A new release (at 6 p.m.) of Bourbon Aged Ginger Beer, brewed with fresh and crystallized ginger and aged in a bourbon barrel for eight months for a nice flavor combination. » Michigan Beer Tasting night at Whole Foods Cranbrook, 990 W. Eisenhower, throws the glare of the spotlight on Liberty Street Brewing, 149 W. Liberty, Plymouth. From 5-7 p.m. three delicious Liberty brews will be on tap for the low, low price of $3 a glass or $1 for a generous sample pour, because that’s how they roll at the Whole. And don't meet your chance to meet Liberty owner and brewer Joe Walters. Come on out and join the rest of us Friday evening “grocery shoppers” – it’s always a good time. » It’s Mardi Gras! The last day to indulge your gluttonous tendencies before the austerity of Lent or, if you’re not Catholic, just another excuse to eat, drink, and be merry. Arbor Brewing, 114 E. Washington, is willing to help out either way with jambalaya and other New Orleans-inspired menu items as well as the release of a special small batch of Ragin’ Cajun Red Ale. Laissez les bon temps rouler! » If you didn’t get enough Liberty Street on Friday, why not take a drive to Plymouth for the release of Brewer’s Garden IPA, a wonderfully bitter brew made with homegrown hops right from the brewer’s own backyard. Now that’s what I call local beer! » March is stout month, and if you love stouts, you can’t miss the big stout tasting at Arbor Brewing. Sample from more than two dozen flavors of the dark stuff – Irish stouts, milk stouts, chocolate stouts, coffee stouts, Russian imperial stouts, smoked stouts, and even a few Belgians and experimental types will be pouring from 7-9 p.m. Tickets are $25 in advance ($30 the day of) and include an appetizer buffet and multiple chances to win groovy door prizes. Call 734-213-1393 to order. The Sixth Annual Michigan Brewers Guild Winter Beer Festival in Grand Rapids was a resounding success, with over 5,400 tickets sold in the public and another thousand brewers and volunteers, media guests, VIPs, and vendors also in attendance. 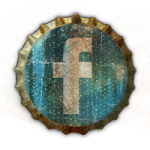 If you missed out, check out my Facebook photo scrapbook or read my brilliant recap. 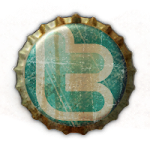 And be sure to mark July 22-23 on your calendar for the Summer Beer Festival in Ypsilanti. It was nice to meet so many of the greatest people on earth (that would be craft beer lovers) while at the Fest, and a special mention goes out to Ryan and Erin Cottongim of Ann Arbor, proprietors of Witch’s Hat Brewing Co., a new brewery they hope to open later this summer just beyond the Washtenaw border in South Lyon. The more the merrier, I say. For now, they are contract brewing their beers through Ann Arbor’s U-Brew, including a tasty barleywine named Holy Confusion. And that’s a nice segue to remind you to let AnnArbor.com know who your choice for favorite Washtenaw-area brewery is at annarbor.com/bestof/contests/brewery. Voting ends midnight Saturday. Who will earn “Best Of” bragging rights? That's great news about South Lyon! I alerted our Man in South Lyon (i.e. Sean) about this fact! 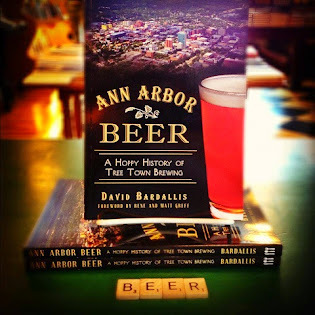 "The history of Ann Arbor brewing, as told by author David Bardallis... contains elements of suspense, subterfuge, and downright bacchanalian excess at times." Northville Winery & Brewing Co.
All the Brews Fit to Pint by David Bardallis is licensed under a Creative Commons Attribution 3.0 Unported License.